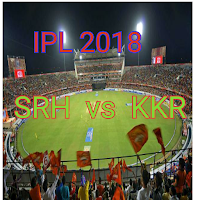 KKR vs SRH match of IPL 2018 has been played in Eden Garden Kolkata on 14 April 2018 . In this match SRH won the toss and chose to bowl first. Kolkata Knight Rider scored 138 runs with the help of individual scores of Chris Lynn, Nitish Rana[ and Dinesh Kartik. Other batsman of this couldn't play long inning. Bhuwneswar Kumar , Stanlake , Sakib Al Hasan  and Sidhart Kaul got  wicket. Hence KKR scored sub-total 128 runs in 20 overs for the loss of 8 wickets. Wridhiman Saha srarted the inning of SRH with Sikhar Dhawan, SRH got winning target of 139 runs in 19 over for the loss of 5 wickets, Wridhiman Saha , Ken Wiliumson, Sakib Al Hasan and Yusuf Pthan played great inning for SRH. Sunil Narayan got 2 wickets , M Johnson, Kuldeep Yadav and Piyush Chawla got 1-1 wicket. So in this way SRH won the match by 5 wickets . This team won their all 3 matches .